* We’ll be a summer vacation from Sunday 5th to Friday 17th August 2018. We’ll reopen on 17th from 6:00 pm for dinner. This summer, Chef Olivier created a new starter with fresh fishes and vegetables. 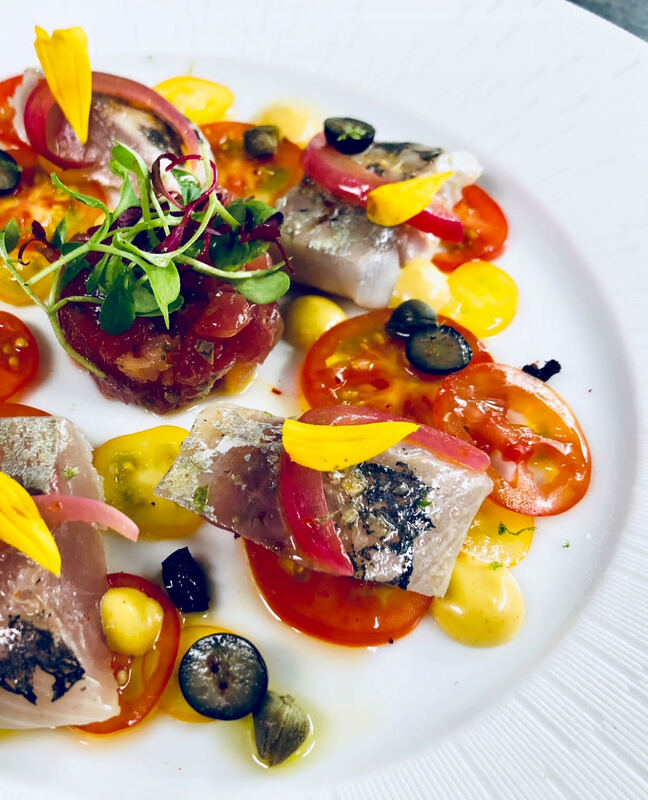 Marinated horse mackerel “Aji” with citrus, bonito “Katsuo” and smoked salmon tartar, served with tomatoes carpaccio and cold curry sauce. Colorful, fresh and healthy starter served for lunch and dinner.